After creating some of the world’s leading research universities during its first two and a half decades of existence, Israel dramatically changed course. Over the next four decades, the country’s universities steadily receded from the Israel’s national priorities. 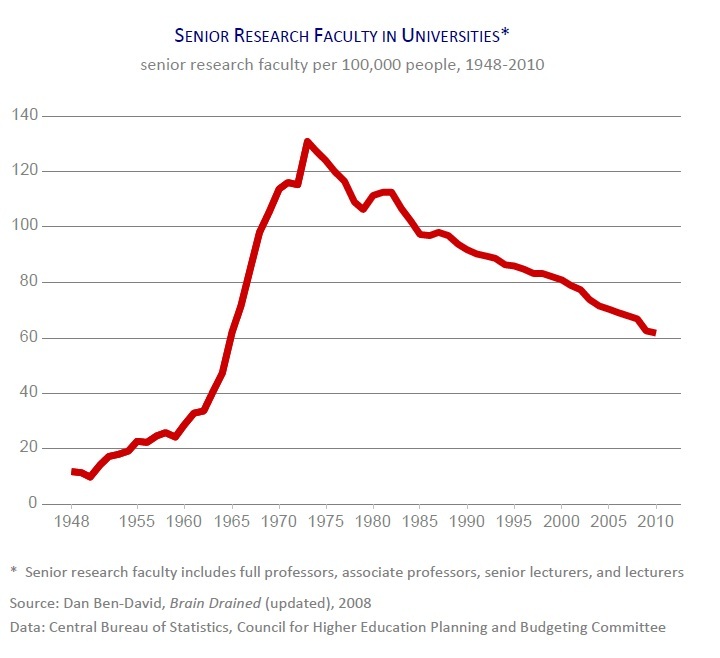 The number of students per professor more than doubled, while the universities increasingly outsourced the teaching to non-research, external lecturers. This paper appears in the Center’s annual publication State of the Nation Report – Society, Economy and Policy 2013.